I've recently helped out a member of our SAK Collectors Facebook group. 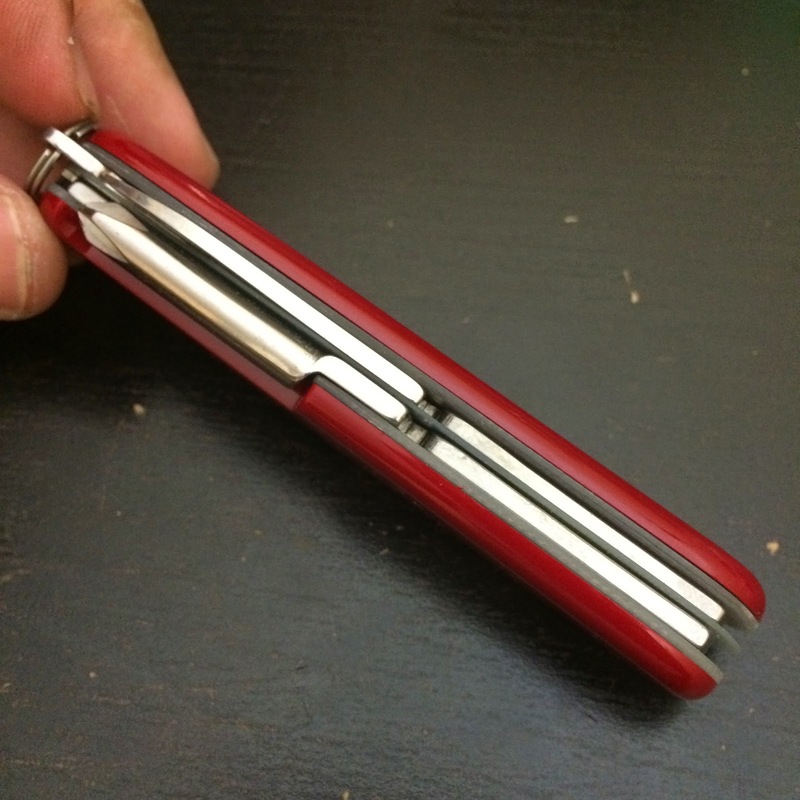 She was asking to mod a regular Victorinox 91mm Tinker and replace all the aluminum liners with G10. 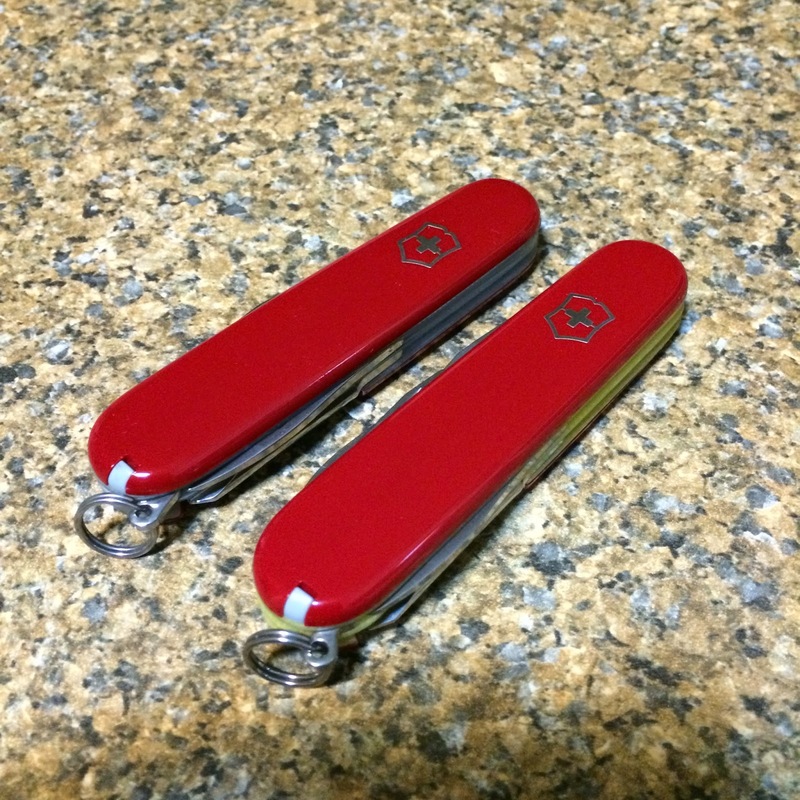 The SAK will be used during sailing and the aluminum liners doesn't play well with salt water. G10 is basically a glass cloth-reinforced epoxy sheet or better known as fiberglass. G10 has extremely high mechanical strength, good dielectric loss properties, and good electric strength properties, both wet and dry. It's mainly used in the electronics field (reference 1). 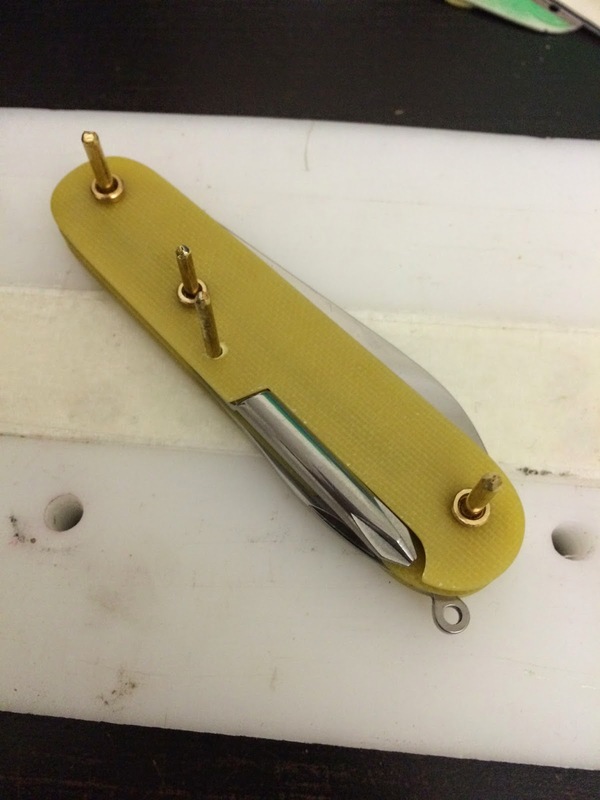 In the knife/SAK modding world, it's usually used as a liner for knives used in saltwater environments where other metallic liners will suffer from galvanic corrosion. 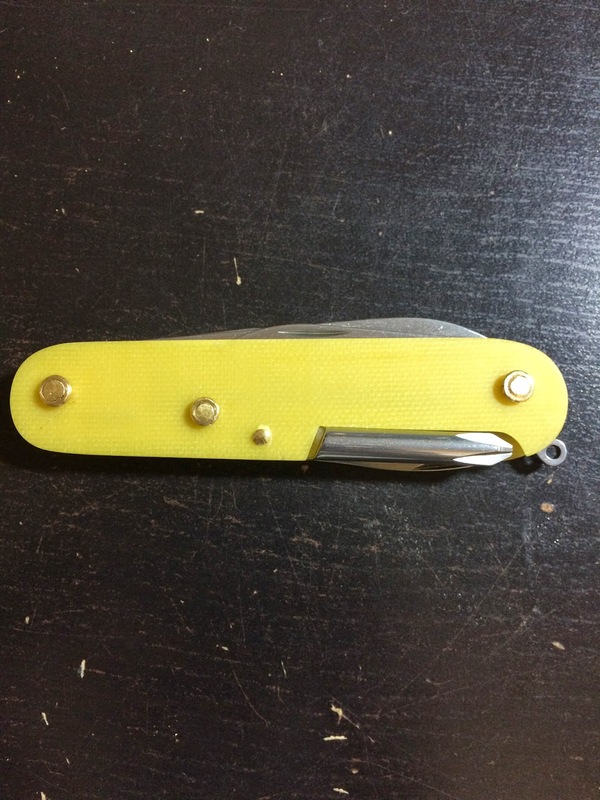 It is also an easy way to add color to the modded knife without resorting to anodizing metals. 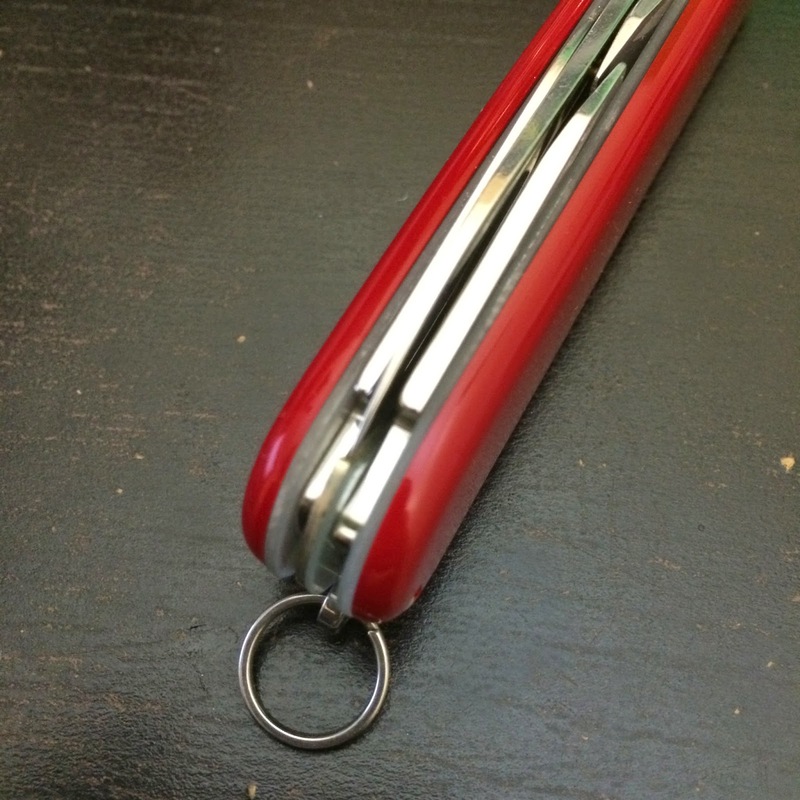 It is also used to lighten the overall weight of the knife. 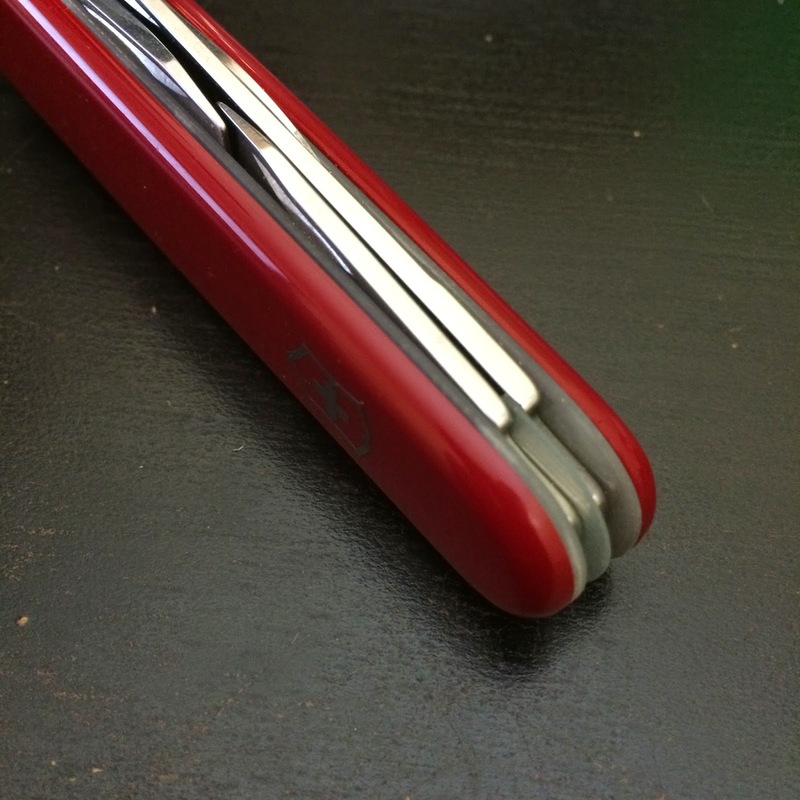 The mod started with disassembling the knife as posted here. Before starting to cut and sand the G10 material, some safety precautions. Fiberglass dust in general is very toxic and can harm your (and the people around you) lungs. Wear appropriate respirator (I use a 3M industrial grade respirator). 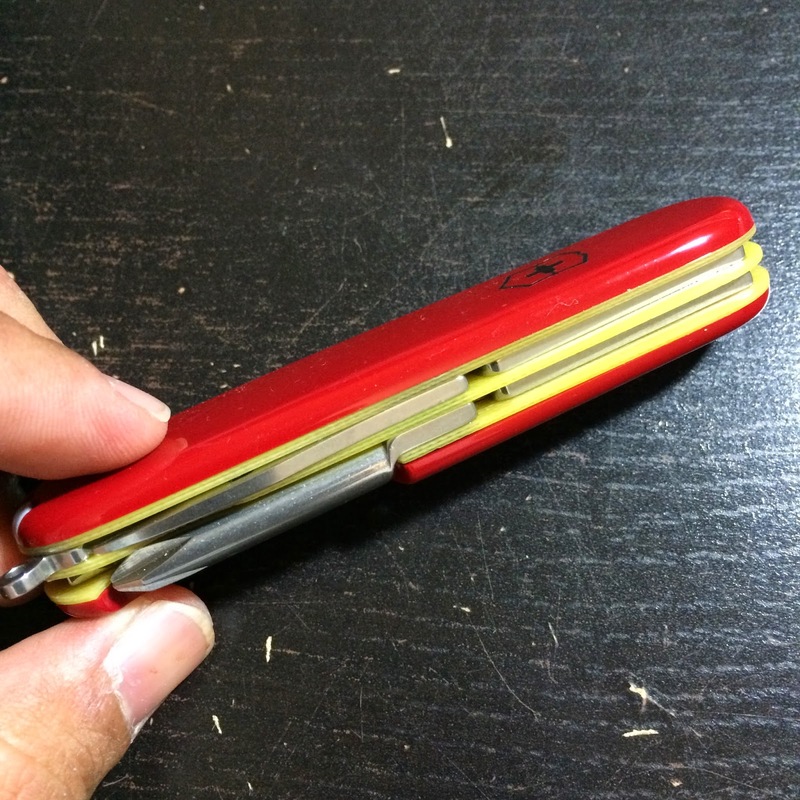 As an added precaution, I wet sand G10 only, never dry. I do this while wearing the respirator. Do the cutting outdoors while wearing a respirator and some gloves, fiberglass edge is sharp enough to cut your fingers. 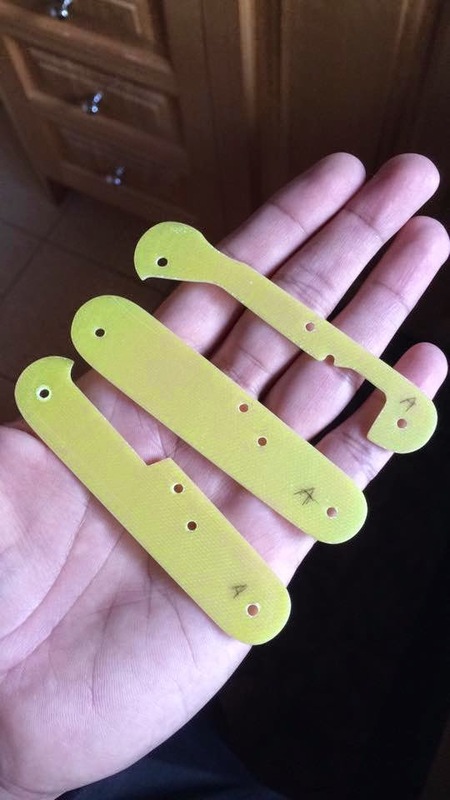 I cut the G10 material (yellow, 1mm thick in this case) into 95mm x 25mm portions and then proceed with drilling the holes before I cut the outline. 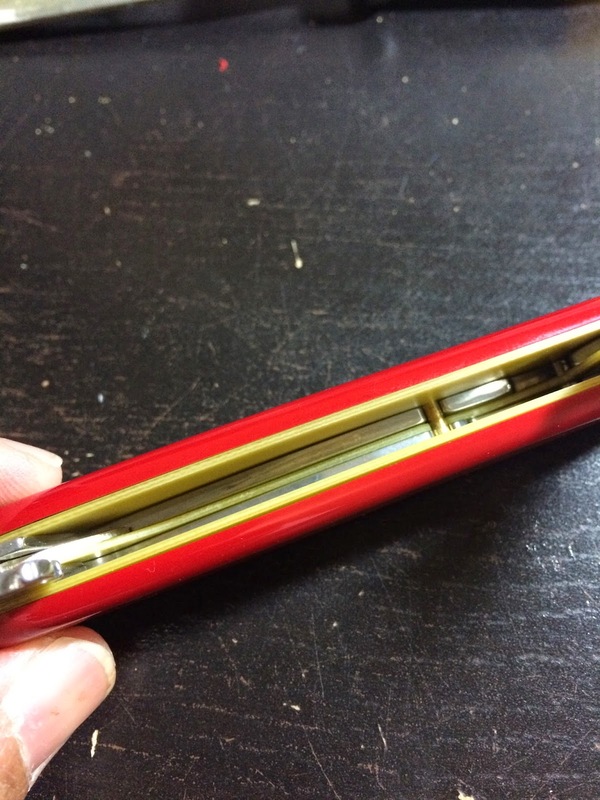 In this way, I can ensure that the holes are always aligned with respect to the outline of the liner. I use a jeweller's saw with #3 saw blade. I'm currently using a very crappy dremel workstation as my drill press which suffers from a lot of play and sliding during drilling. I usually use the old liners as my drilling guide to minimize the sliding of the bit once it hits the material to drill. I drill the two outer holes and the put pins to ensure alignment and then drill the two inner holes. After drilling the holes, I proceed to cut and shape the outline. I use fresh liners (not used as a guide for drilling) so that I'm sure that the holes are not damaged. After these processes, I finally get the finished G10 liner. Assembly is just straight forward. 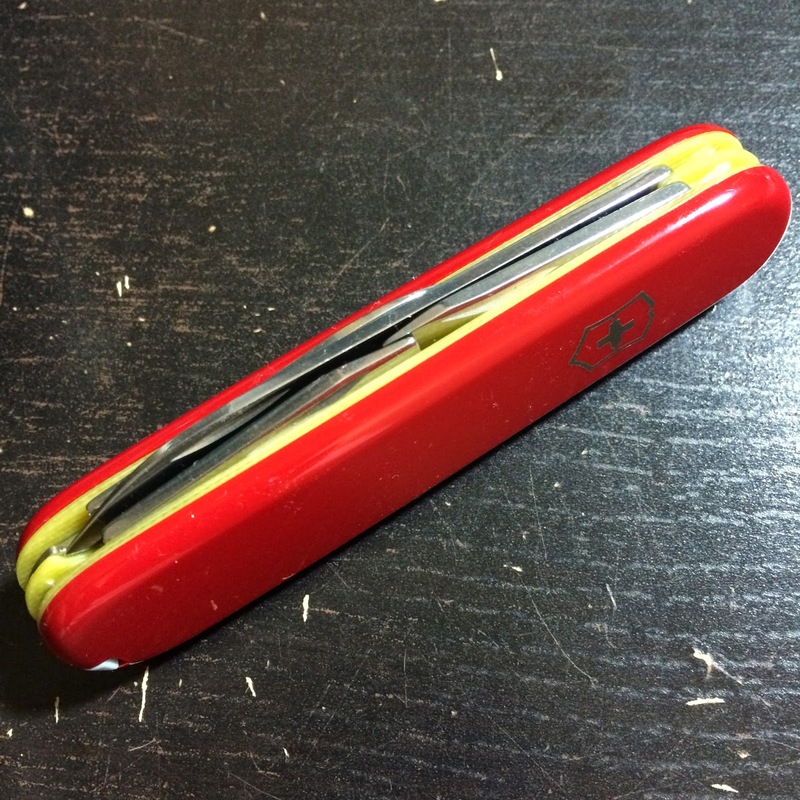 I you're familiar with my SAK Deconstruction posts you can use them as guides during the assembly process. Just make sure to have enough brass pins for the number of layers you're assembling. 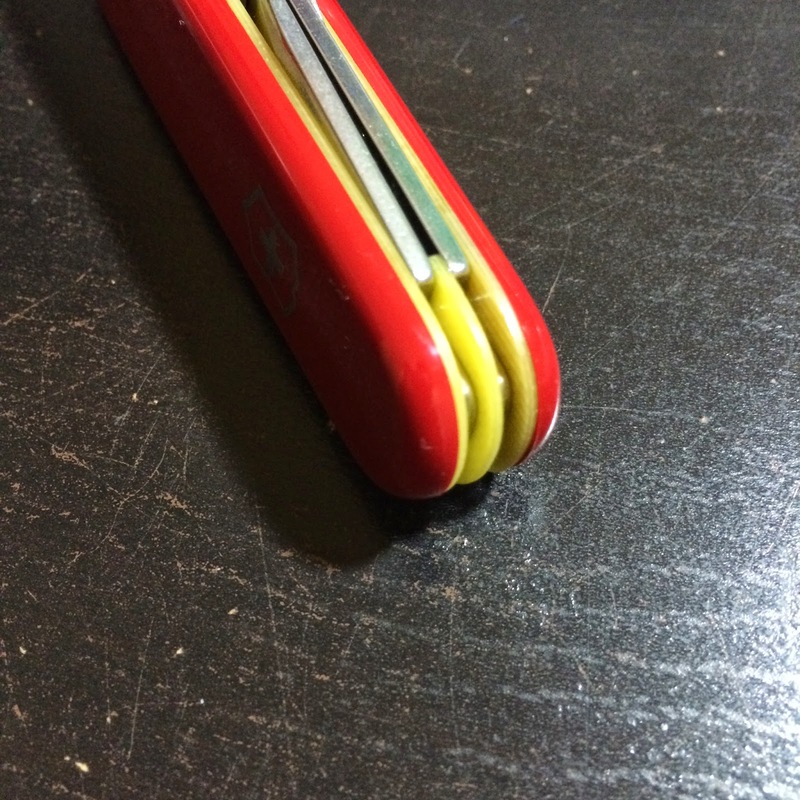 I usually test each layer for the "spring back" after every layer is assembled, so that I can quickly spot problem before all the layers are assembled. 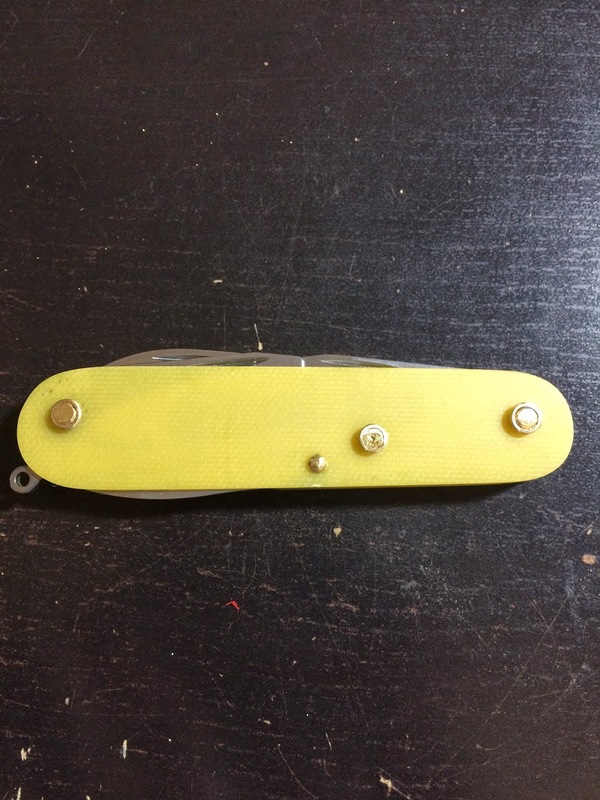 After cutting and peening the brass pins, you will get something like this. Be careful during peening, don't over peen them. Always check the tools (including the back tools) after 1-2 hammer strikes. 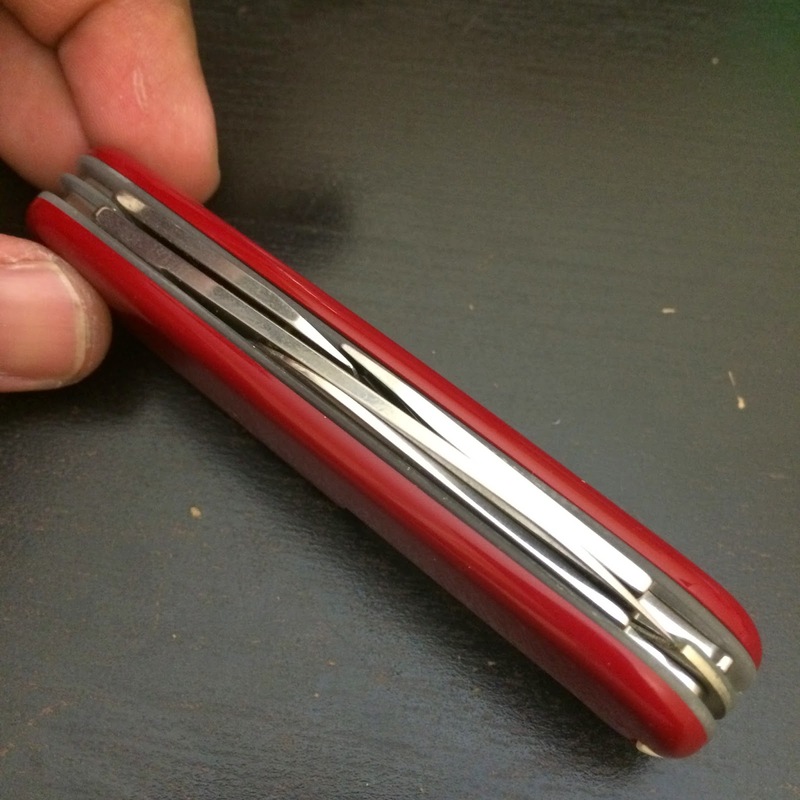 I learned it the hard way when I over peened the (first time) the outer pin and then (second time) the inner pin. Good thing is I learned my lesson after those two mishaps. 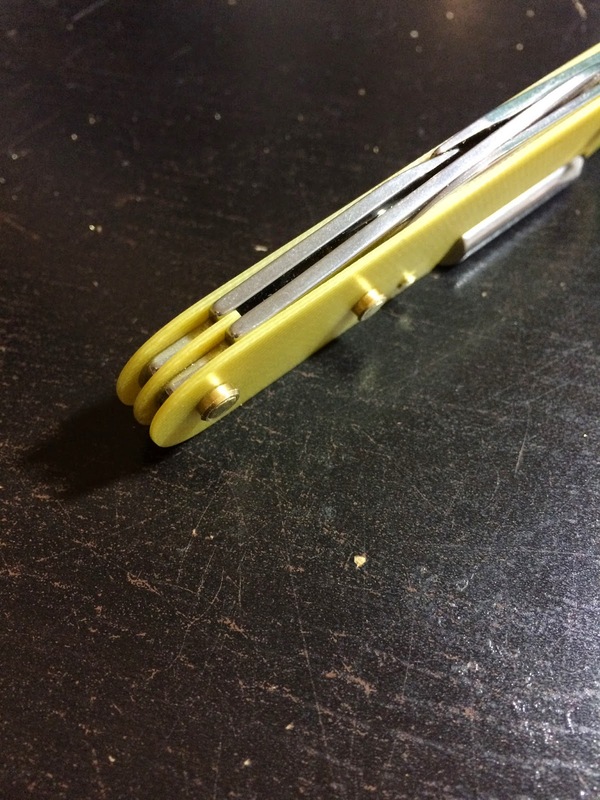 If you over peened, the only fix is to drill out the pin and re-start peening it using a fresh pin. Also, make sure to file the peened pins so that they are flushed against the brass spacer. The cellidor scale will not fit of there's a bump on these pins. Another set using transparent G10. Last shot of the two before shipping. Hi, I see that you posted this a while ago; sorry for the late reaction. 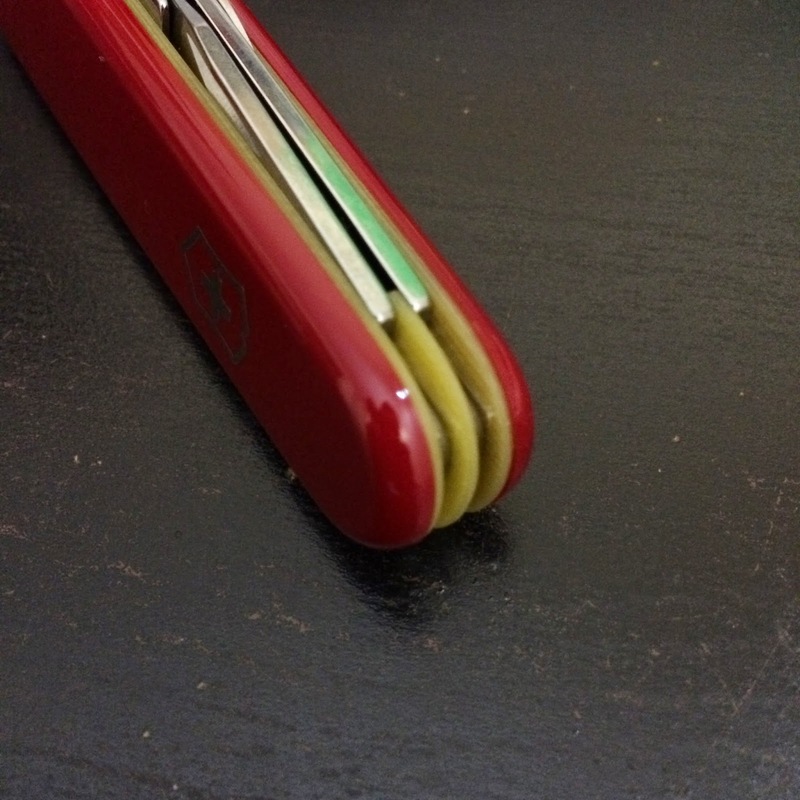 Question for you - where did you source your G10 material? Hi Ramon. You can buy fiberglass PCB (printed circuit board) material at electronic parts shops. All you have to do is to etch the copper layer from it.